A sign of support for anyone who is affected by Cancer. 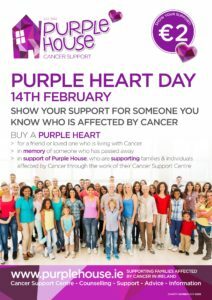 On Tuesday 14th February, why not hold a Purple Heart Day in your school, club or workplace. We will supply you with the Purple Heart pin badges, balloons and tee-shirts. Contact us on 01-2866966 or info@purplehouse.ie if you can help out for an hour! 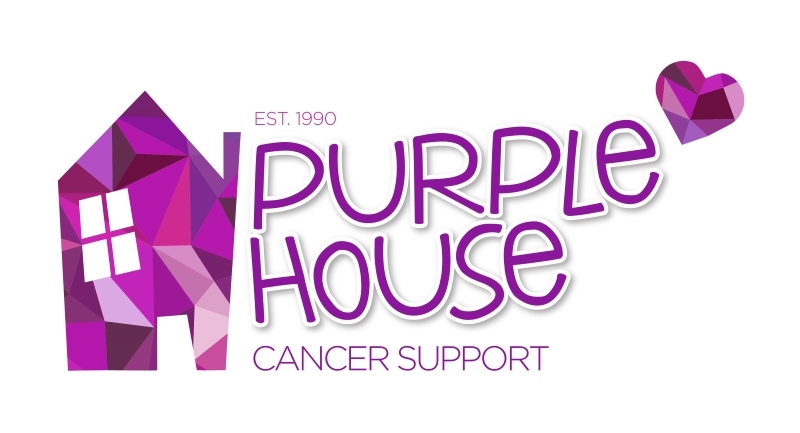 100% of your donation goes to Purple House Cancer Support across most network operators. 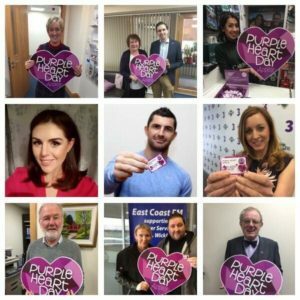 Some operators apply VAT which means that a minimum of €3.25 will go to Purple House. Service Provider: LIKECHARITY. Helpline: 076 680 5278.